Tired of being on the run and having to grab a greasy snack that slows you down? 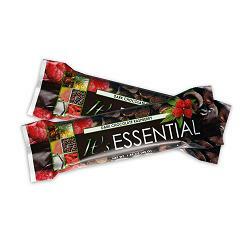 Grab an It's Essential Bar instead and lose weight while you snack! The new It's Essential weight loss energy bar pairs delicious flavor with powerful ancient grains to super-charge your weight loss results! Its dark chocolate raspberry taste is truly a flavor to crave, and the addition of a new, cutting-edge ingredient, SolaGrainÂ®, makes It's Essential the best choice. The kids and I love the taste! It isn't chalky like other bars. It's great to get my chocolate craving met while being healthy!